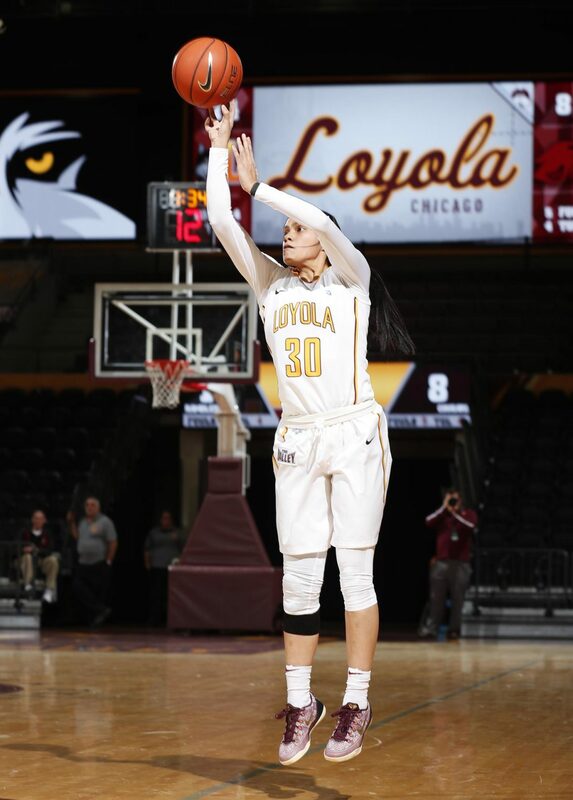 What went down: The Loyola women’s basketball team (4-16, 2-7) wrapped up the first half of its conference schedule Jan. 28 against the University of Evansville at Gentile Arena. The Ramblers defeated the Purple Aces 82-63 for their second Missouri Valley Conference (MVC) victory. How it happened: Loyola led 19-17 after the first quarter and outscored Evansville 24-4 in the second quarter to take a 43-21 lead into the break. The Ramblers never looked back and shot 50 percent from the field. Redshirt senior guard Jessica Cerda scored 16 points while senior guard Katie Salmon added 15. Analysis: The second quarter was crucial to Loyola’s victory. The Ramblers held Evansville scoreless for the last 7:30 minutes and their 82 points are a season-high. 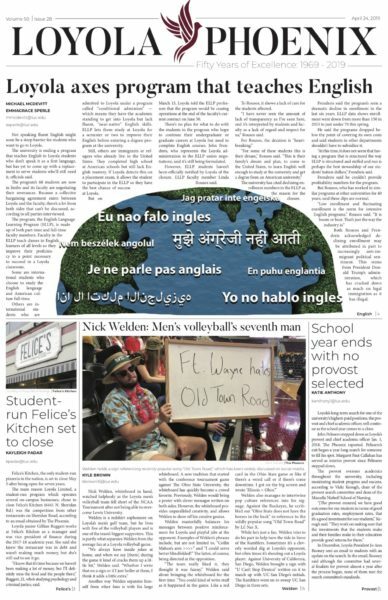 While Evansville came into the game giving up an average of 83 ppg, Loyola played better on the offensive end than it did against Indiana State University Jan. 26. In that game, it took two quarters for Loyola to score 19 points. Cerda’s 16 points were three shy of her season-high 19. She’s now second on the team, averaging 8.4 ppg, and is proving to be a threat from the three-point line. In the postgame press conference, head coach Kate Achter pointed to Cerda’s success from outside as a major factor to the victory. Salmon scored in double-digits for the second straight game. While only averaging 6.5 ppg, she is one of the leaders for a young Loyola team and will be playing a key role down the stretch. Three first-years –– forwards Abby O’Connor and Alexis Meyer and guard Ellie Rice –– also scored in double digits, marking the first game five Ramblers scored 10 or more points this season. All three are going to play important roles for Loyola as the team continues to rebuild. Rice also had seven rebounds against Evansville, marking the second straight game she scored 10 points and snagged at least five rebounds. Achter said she attributed Rice’s recent success to her move to the bench, which allows her to see the game develop and gives her the chance to adjust to the pace. Achter’s thoughts: In the postgame press conference, Achter said she used the loss against Indiana State as motivation to get the team playing as a unit rather than having individual games stand out. What’s next? The Ramblers are scheduled to travel to Normal to take on Illinois State University Feb. 2.